Now it is easier to find RivieraBus with our new bright tables! If you travel from Tirana to Saranda just pick up the bus at departure station behind the Ethem Bey mosque in front of the Clock tower. This is a small parking area. Bus comes there around 10 minutes prior departing time. You also can get in the bus at Durres Plepa pick up point or at Vlora city. 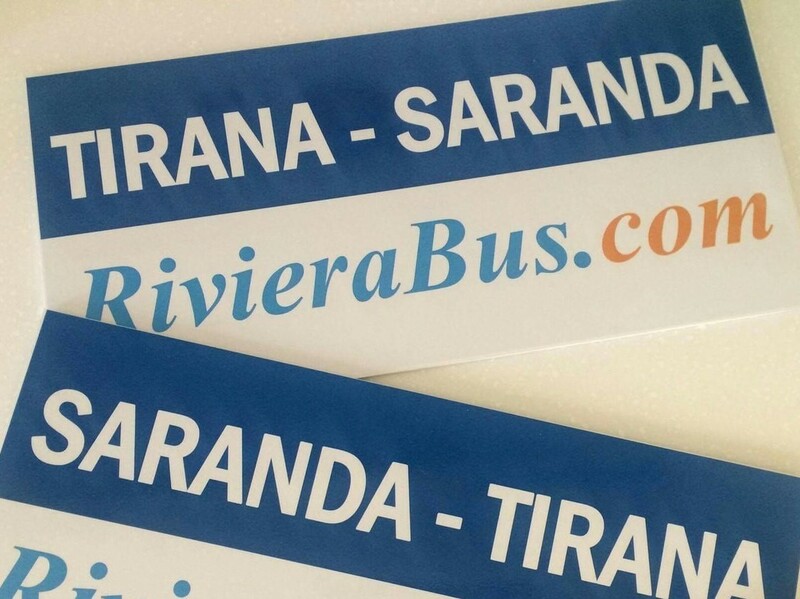 If you travel from Saranda to Tirana please find easy our bus at Saranda Port. You also can catch it at Borsh, Himara, Jale or Dhermi. Please find actual timetable here.